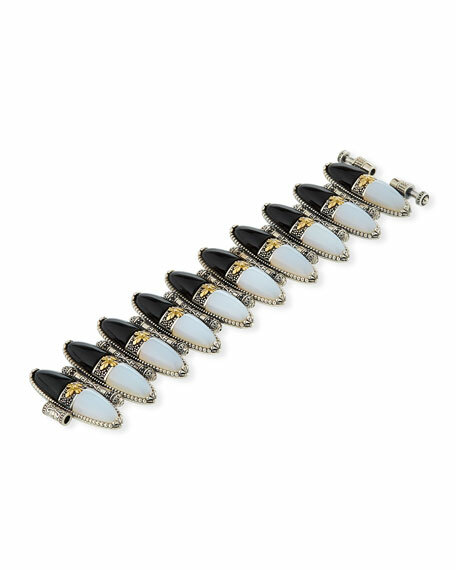 Thetis two-tone cuff bracelet by Konstantino. Sterling silver and 18-karat yellow gold frame. 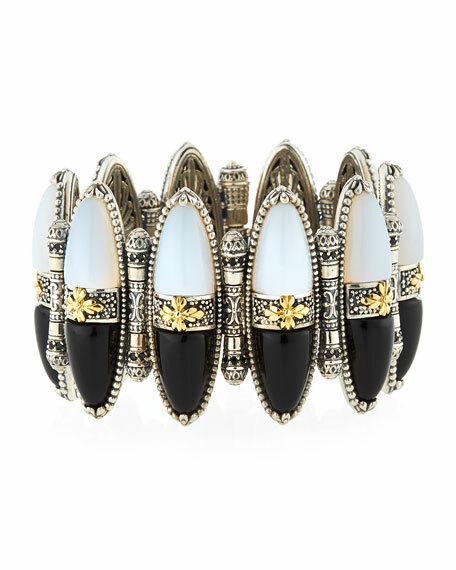 Black and white agate with gold flower center. Signature etching and filigree accents. Push-lock closure for secure fit. For in-store inquiries, use sku #2490531.